The numbers are crystal clear. 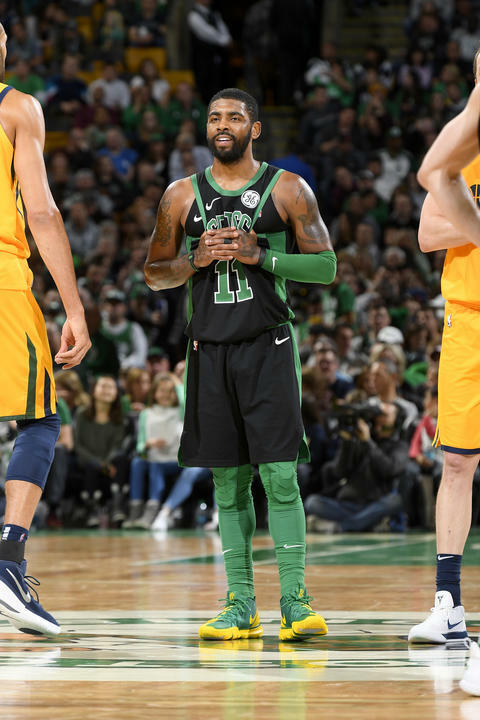 I looked at Kyrie Irving's offensive and defensive stats for the past three seasons, his last year with Cleveland and his first two with Boston. He clearly has adapted to his role with the Celtics. With the Cavaliers in the 2016-17 season, he was all offense. He was rated 9th in Offensive Rating (OR) and 409th in Defensive Rating (DR). His average line was 25 PPG, 3.2 RPG, 3.2 APG, 1.2 SPG and 0.3 BPG. His first season with Boston, things shifted. He dropped to 68th in OR and rose to 163rd in DR. His points remained stable (24 PPG), as did most of his other numbers, but his assists rose to 5.1 APG. His roles as facilitator and defender gained more importance. This season, his blocks (0.6 BPG) and steals (1.9 SPG - 8th in NBA) have virtually doubled over the past two seasons. His OR has taken a hit, moving down even further to 152nd place, while his DR remains at 163rd. His points fell slightly to 22 PPG, but his rebounds are the highest in the past three seasons (4.9 RPG), as are his assists (6.4 APG). Kyrie Irving had some words of wisdom for Gordon Hayward this week: "We had practice yesterday and I told him, 'Look for your shot more. Get aggressive and get yourself going because you are a great talent in this league and I don't want you to ever forget that.'" Now we see that Kyrie has gone from Offensive Wizard to defender/rebounder/facilitator/thief. His words to Gordon Hayward clue us to watch for more offensive aggressiveness by Gordon in tonight's game versus the Cavaliers. There will be a bonus round in my CelticsLife Race-to-the-Title contest involving Hayward's offense. Watch for the article later today.